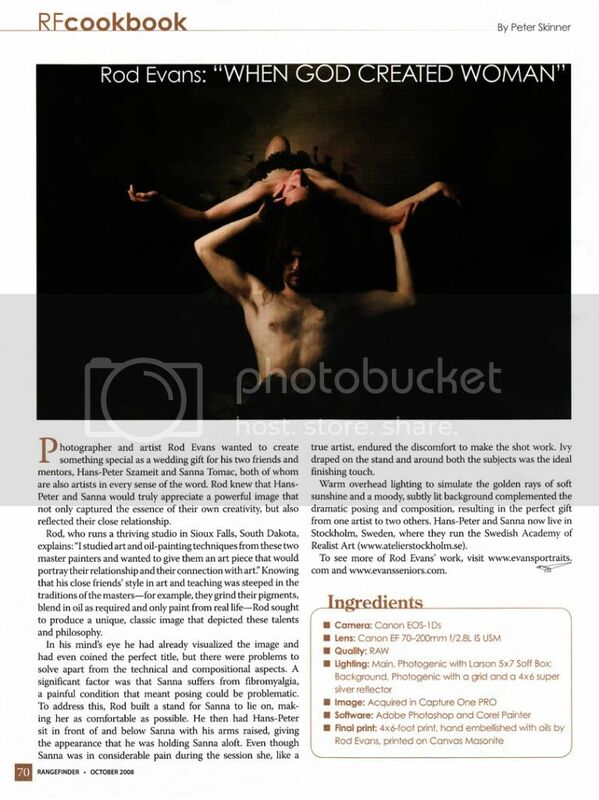 Rod is featured in this month's Rangefinder Magazine, a premier magazine for professional photographers. Check out this great article written by Peter Skinner. October 2008, "the Fine Art issue"